It’s been fourteen years since we first saw Brad Bird’s superhero family, but this sequel feels like no time has passed at all. This movie is not based on comic book source material. However, if you don't believe that it isn't one of the year's most anticipated superhero films on similar order with any offering from Marvel Studios, 20th Century Fox, or DC Films, then you're living under a rock. After 14 years, Disney and Pixar's The Incredibles has only gotten better with age. The timeless aesthetic, inspired by many of the defining Marvel Comics works of the 1960's, has given the movie a timeless quality that you don't often see from 21st century superhero films, animated or otherwise. 2004 was, of course, a long time ago, but the sheer quality of the original film in every respect has made it impossible to forget. That brings us to Disney and Pixar's Incredibles 2, the highly-awaited sequel from writer-director Brad Bird. Reuniting virtually the entire original cast (save for the original Dash Parr, Spencer Fox, who's simply too old today to reprise the young boy), the film picks up right on the heels of where the first one ended, and against all odds manages to make you feel like no time has passed at all between the two entries in the series. A group of wealthy benefactors, including Winston Deaver (voiced by Bob Odenkirk), believe in superheroes and want Mr. Incredible (Craig T. Nelson), Elastigirl (Holly Hunter), and Frozone (Samuel L. Jackson) to be able to do what they do best. 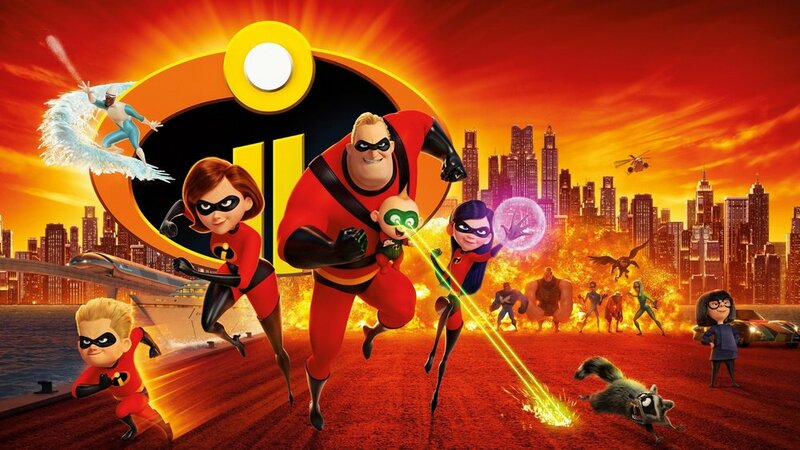 While the original film did an excellent job in combining the ideas of maintaining a family with the practical concerns of juggling an eventful life with extra-human abilities, Incredibles 2 keeps the charm — and cranks it up — by using its own familial element to explore the other side of the equation. Now, it's Helen, aka Elastigirl, or Mrs. Incredible (played by Holly Hunter), who's given an opportunity to be the working superhero, leaving Bob, aka Mr. Incredible (played by Craig T. Nelson) home to deal with managing the house and making sure the needs of the kids are met. The whole situation is exacerbated by the brilliant strokes of the story, where in the realm of domestic concerns, an already under-equipped Mr. Incredible is stretched even further by coming to terms with the burgeoning, unpredictable superpowers developing in his infant son, Jack-Jack. That would be a satisfying story in and of itself, but the movie truly brings the goods in superhero storytelling, easily standing on par (no pun intended) with any of the best live-action offerings through the action and adventure depicted in Elastigirl's resurgent superhero career. When a wealthy mogul (Bob Odenkirk) and his sister (Catherine Keener) — who state a heavy belief in the idea of seeing superheroes become legal again — bring on the Incredibles and Frozone (Samuel L. Jackson) to create a new media campaign to help "supers" win back the public's trust, Elastigirl is designated as the point-hero to begin to take that message to the masses. One of the film’s more spectacular scenes includes a high-speed chase on Elastigirl’s new motorcycle, which takes advantage of her powers in some really unique ways. The sheer imagination on display in seeing how she uses her powers, her ingenuity, and even her motorcycle to solve problems and minimize collateral damage truly makes this comic book fan hope that whomever has the rights to make the next Fantastic Four movie watches this one and takes a copious number of notes. The ways in which the movie depicts Elastigirl using her abilities to save the day is inspired much of the time, and outright brilliant in a few of those places. This is before you even touch the stories surrounding other characters, particularly Violet (played by Sarah Vowell), Dash (played here by Huck Milner), and Frozone. The kids are given some great things to do in the story, particularly Violet, even if all she's really doing is ... well, being a kid in junior high. While Frozone doesn't have as much to do in this film, he always adds to the adventure whenever he turns up, as does another brilliant turn by Brad Bird himself as the voice of the pre-eminent superhero suit designer, Edna Mode. If you love the original Incredibles film and had any concerns whatsoever about the ability of the sequel to follow it up, those worries are totally unfounded. Incredibles 2 is exciting, heartfelt, imaginative, hilarious, and fun.Very few movies are worth anything even close to a 14-year wait. Against all odds, though, Incredibles 2 manages to be one of those movies.